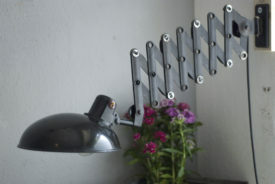 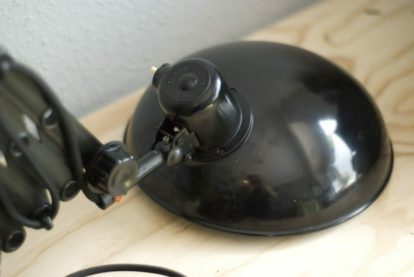 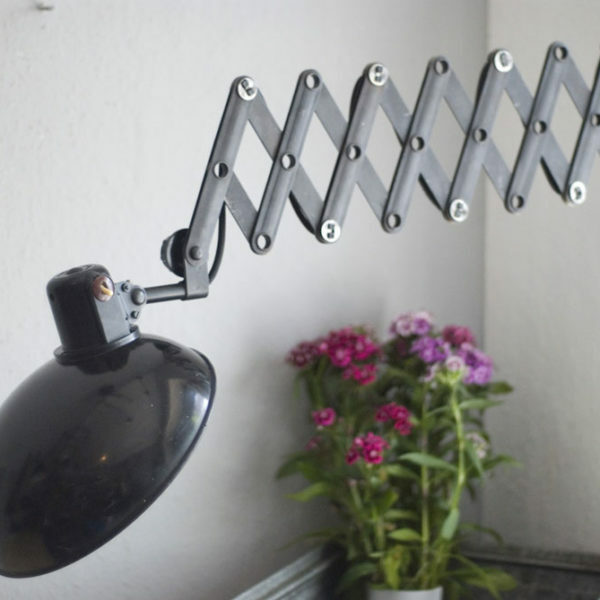 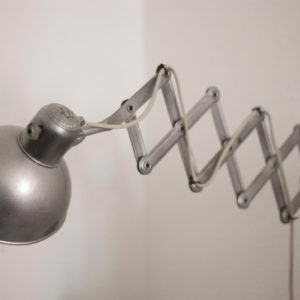 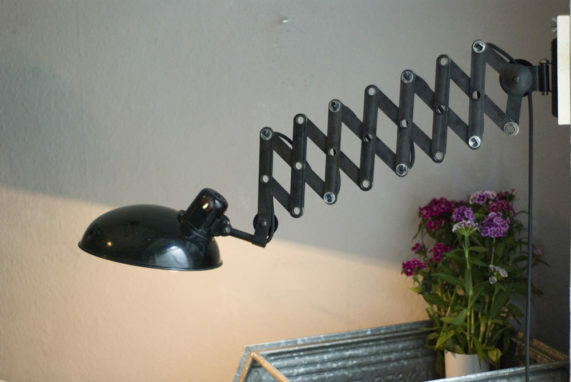 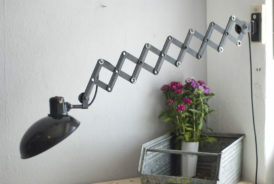 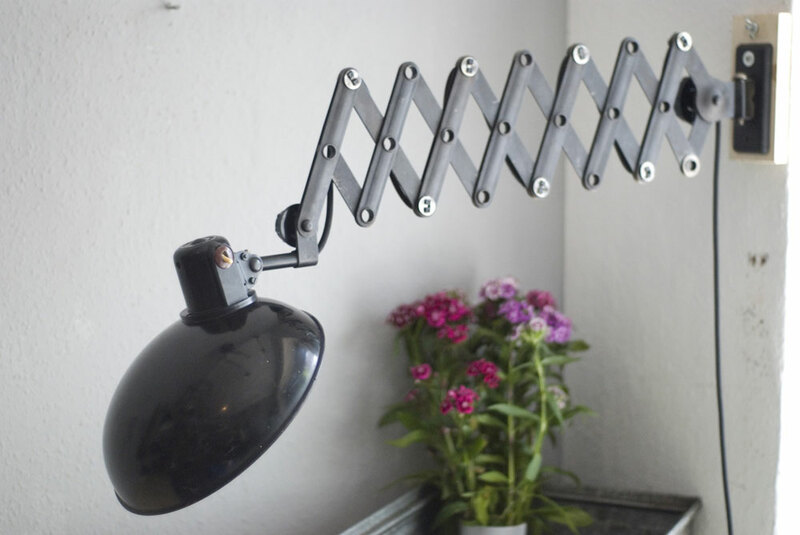 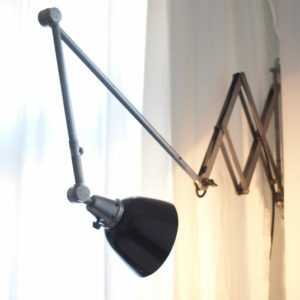 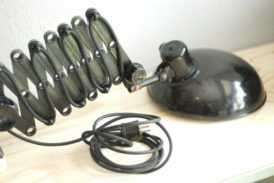 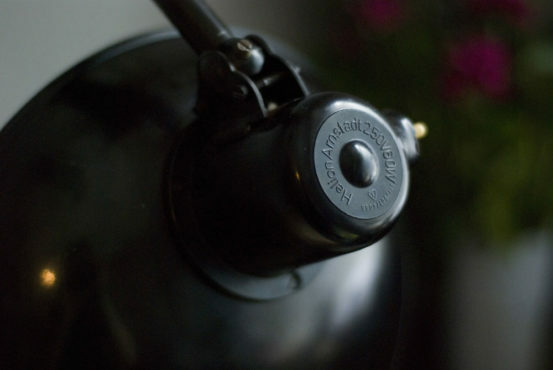 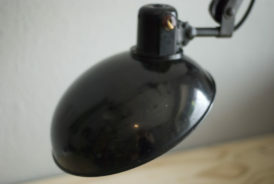 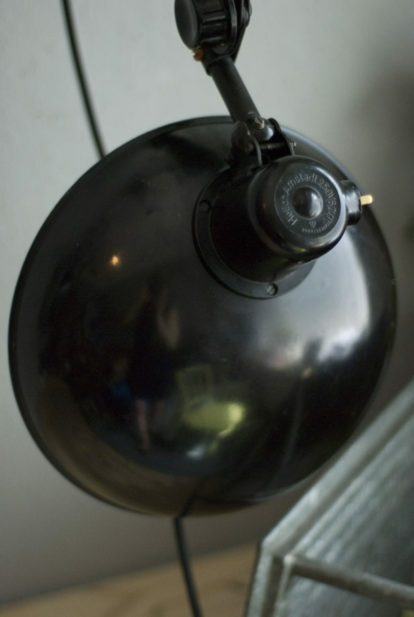 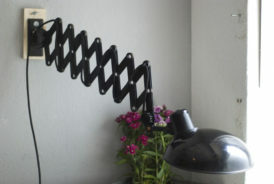 Helion Scissor lamp with a wide bakelite shade and a black cloth coated cord. 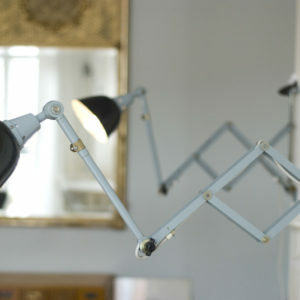 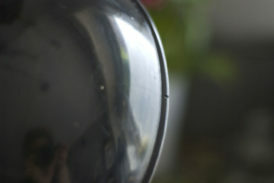 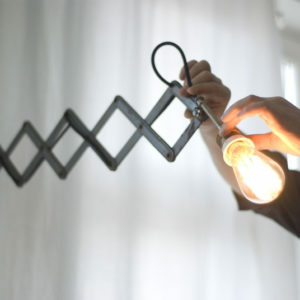 The scissor has a noteworthy light patina. 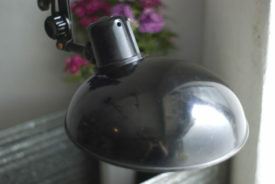 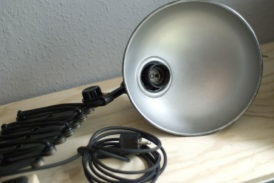 The bakeliteshade is in a beautiful condition, it has a fissure, that is hardly visible and a small crack. 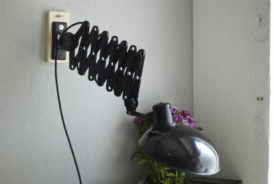 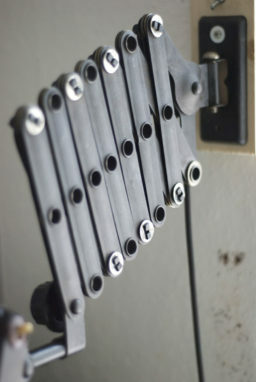 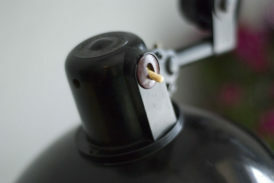 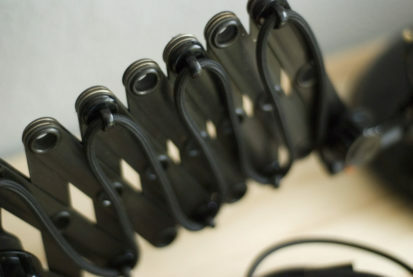 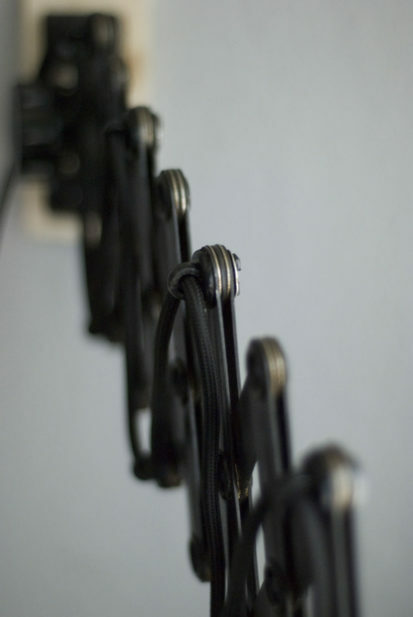 The electrical equipment was renewed and refurbished with a black cloth coated cord.